Applications are invited from suitably qualified candidates for the post of RECTOR of the Federal Polytechnic, Bauchi (FPTB). 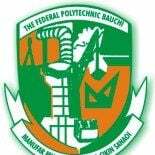 The Federal Polytechnic, Bauchi was established in accordance with Decree NO. 33 of 1979 based on the Federal Polytechnic Act (Cap 139) as amended by the Federal Polytechnics (Amendment) Decree No. 5 of 1993. The Polytechnic located at Kilometre 15 along Dass Road was established in order to train middle and high level manpower for the Nigerian economy. The Institution runs full-time programmes at both National Diploma and Higher National Diploma levels (ND & HND), which are all accredited by the National Board for Technical Education (NBTE). The Rector is the Chief Academic, Administrative and Accounting Officer of the Polytechnic. He has power to exercise general authority over both the Staff and Students and is also responsible for discipline in the Polytechnic, subject to the general control of the Governing Council. In addition to proven Management and Leadership experience, the successful candidate must have visibly manifest passion for academic endeavour and scholarship and also be credible to the academic community. Should possess at least a Masters Degree, preferably in the relevant and technical courses offered in the Polytechnic. Possession of a Ph.D degree is an advantage. Should provide evidence of proficiency in ICT. The appointment is for a term of four (4) years in the first instance and renewable, subject to satisfactory performance, for another term of four (4) years and no more. The salary is consolidated and the appointee shall enjoy other benefits of the office as may be approved from time to time by the Federal Government. Invited applicants must be ready to support every claim with documentary evidence (where applicable) and bring the originals of all their credentials to the Interview. Not later than six (6) weeks from the date of this publication.